Under Armour, the American sports apparel company, is internationally-renowned among both professional athletes and amateur enthusiasts for, among other things, its sweat-wicking undergarments – which anyone who’s lived through a Tokyo summer knows can be very valuable items indeed. 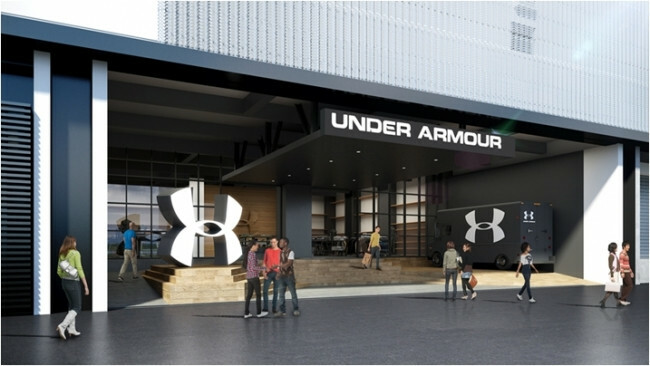 That’s why we’re excited about the upcoming opening of a brand-new Under Armour showroom over in Ariake. The showroom, which is called Under Armour brand house Ariake, opens Friday, April 28, and adopts the look and feel of an American Under Armour store, with plenty of room to browse and take in the experience. Aside from a plentiful stock of Under Armour apparel, including limited-time designs and imports directly from the United States, to celebrate its grand opening, Ariake-exclusive T-shirts are also available. Whether you’re an athlete or are just looking for items to help you survive the humid Tokyo summer, this new Under Armour showroom is sure to have what you need.